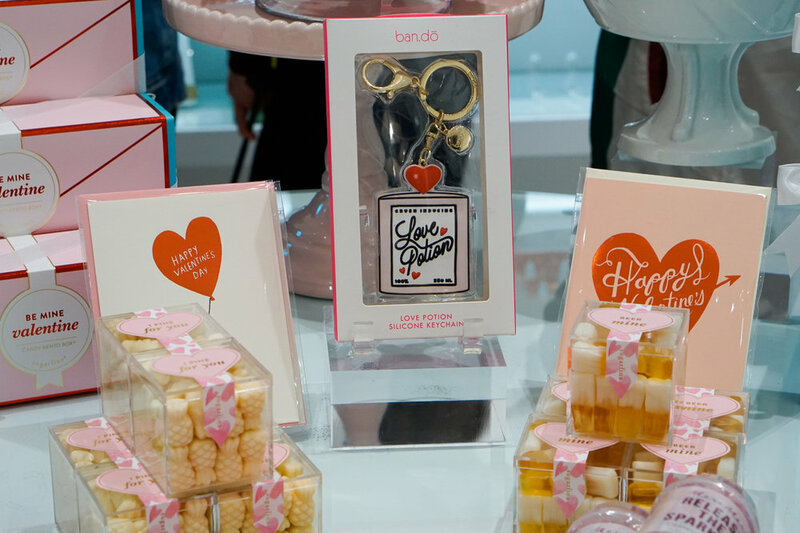 I attended Sugarfina’s Valentine's party to kick off Valentine’s Day Weekend! 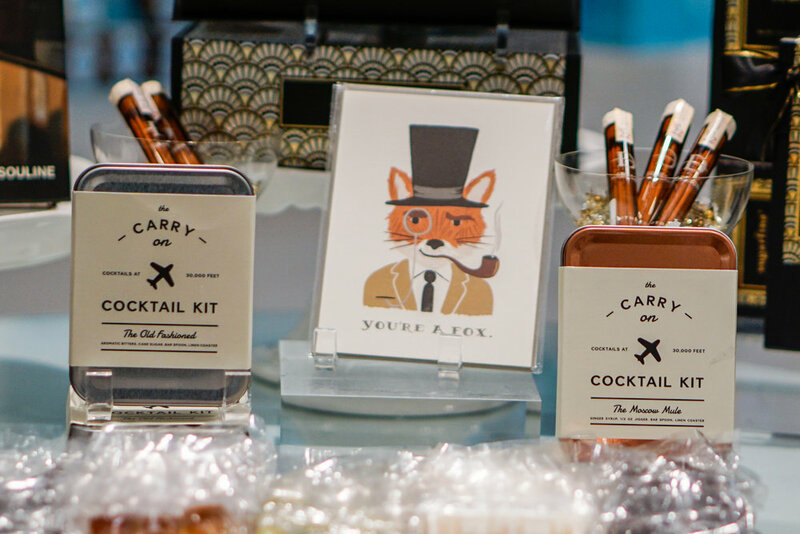 It was a rainy evening when we attended the event at Sugarfina Pasadena, but that didn’t deter me from attending! 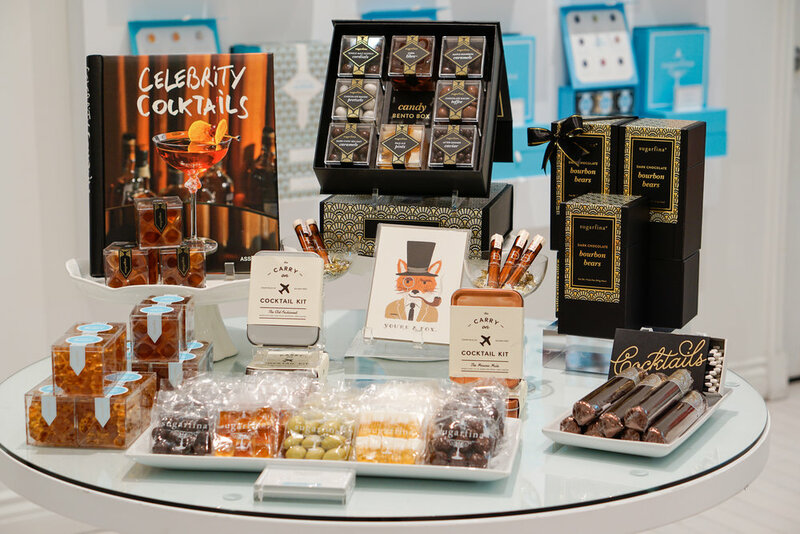 Sugarfina has always been one of my favorite candy boutiques because of the excellent candy selection and beautiful displays and packaging designs. 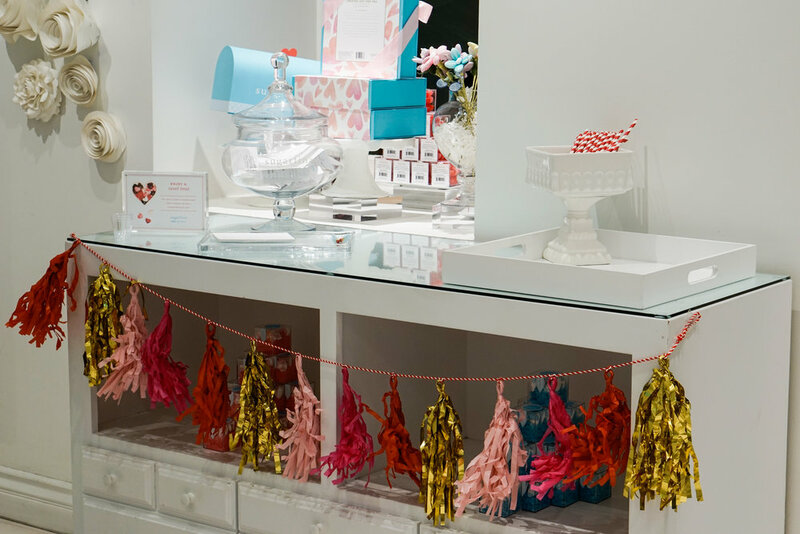 The store had Valentine’s garlands hanging through the window, and there were many product displays focused on Valentine’s Day and Chinese (Lunar) New Year. 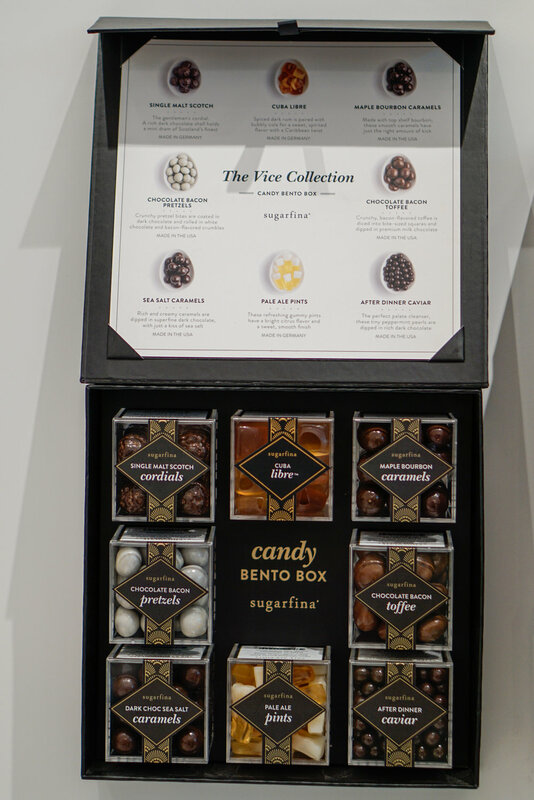 We loved that Sugarfina had a "Vice" collection, which caters to gifts "for him", including chocolate cigars and scotch and bourbon-infused candies. 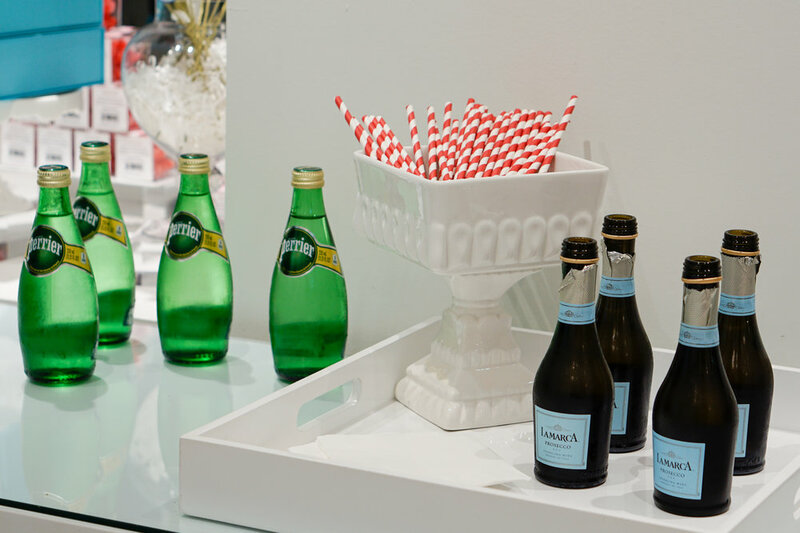 When we first came in, we received champagne and candy samples. 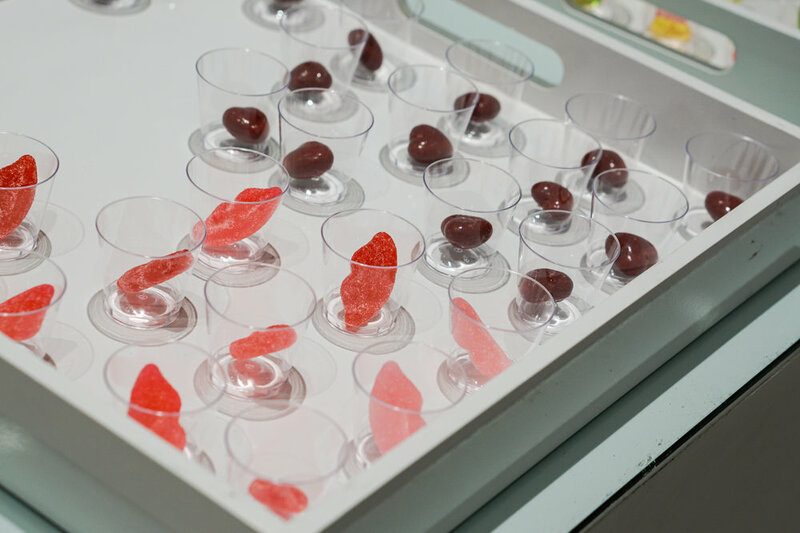 I have always enjoyed Sugarfina’s champagne and wine-themed gummy candies, but samples always allow us to explore their other selections. The samples we got to try that evening were: “True Love” Red Apple Sweetheart Caramels, Sugar Lips, Baby Butterflies, and Princess Pearls. The Princess Pearls were the most unique thing we tried that visit. They had a pearly hard shell on the outside, and crispy rice cereal and chocolate on the inside. I headed over to the corner where BeGlammed was doing free lip makeovers. BeGlammed is a company that brings hair and makeup services to the customer, which would be so convenient the next time I have an event but do not have enough time to get ready! The BeGlammed employee helped me pick a color and proceeded to line my lips, add on lip color and gloss, and shape my lips with foundation. I loved how bold the lip color was! I also got a gift card to use their services in the future. 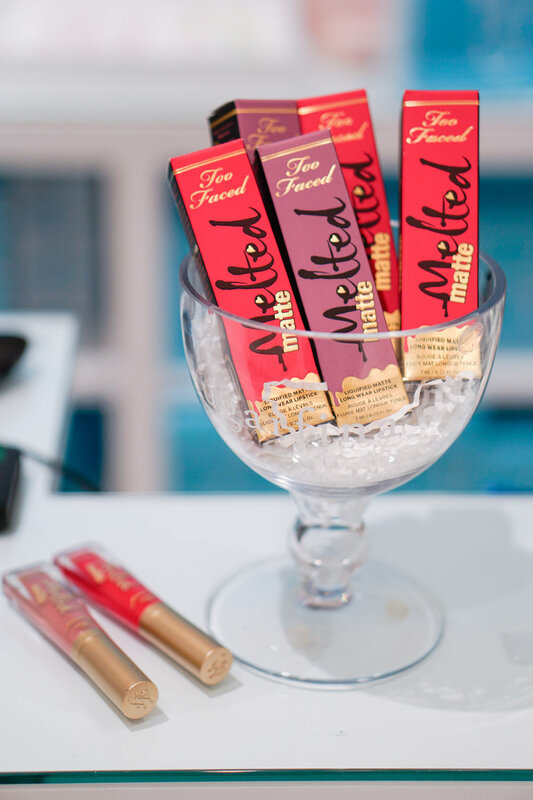 That day, Sugarfina was also starting their promotion for customers to receive a free lipstick from Too Faced with a $65 purchase. After taking a few more pictures and checking out all the latest candy selection, we decided to just purchase one item that I had been wanting to try: Atomic Sours. These candies were crunchy on the outside, and chewy on the inside; they were not as chewy as gummies, but they were soft to the point where it slightly sticks to your teeth. Usually I would not purchase candies like that, but the crunchy and sour outer shell gave the candy an interesting and flavorful texture as we ate them. I was so happy to be able to attend this event! The lip makeover made me feel confident and each visit to the Sugarfina boutique has made me fall in love with the brand even more.